If there’s anything that drivers around Chilton, WI know, it’s how to deal with adverse conditions, especially in winter — and a used AWD SUV can go a long way. All-wheel drive SUVs are among the most convenient and versatile vehicles around; offering better grip and the ability to send power to all four wheels in a low-traction situation. Having an AWD equipped vehicle can offer you added capabilities and reassurance you need in adverse weather conditions. 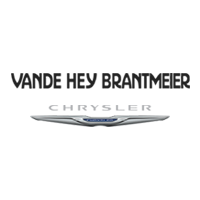 With an extensive selection of vehicles available, Vande Hey Brantmeier is pleased to help you find the perfect AWD Chrysler, Dodge, Jeep, Ram SUV. Contact us with any questions you may have or to schedule a test-drive! ONE OWNER. NO ACCIDENTS, Clean Autocheck. A Grand Cherokee LIMITED 4X4 in Billet Silver Metallic Clear Coat with Black LEATHER Interior. KEY FEATURES Include: REMOTE START, PARKVIEW REAR BACKUP CAMERA AND A POWER LIFTGATE. PERFORMANCE FEATURES Include: 3.6L V6 Engine and an 8 Speed Automatic Transmission Capable of 25 MPG HWY. Engine Oil Cooler, Selec-Terrain System and the Quadra-Trac II 4WD System. FACTORY WARRANTY UNTIL 2023. INTERIOR FEATURES Include: 8 WAY POWER ADJUSTABLE DRIVER & FRONT PASSENGER HEATED SEATS ( Memory Settings for Drivers Seat, Radio & Outside Mirrors ), HEATED STEERING WHEEL, HEATED 2ND ROW SEATS, Power Windows & Locks, Tilt & Cruise, Full Length Floor Console, Air Conditioning, AUTO TEMP CONTROL with DUAL ZONE CONTROL, Overhead Console, Uconnect 4 with a 7" Touchscreen Display, 6 Speakers, Steering Wheel Mounted Audio Controls, Google Android Auto, Apple CarPlay and Integrated Voice Command with Bluetooth. EXTERIOR FEATURES Include: 18" Tech Gray Aluminum Wheels, Rear Window Defroster, Power Adjustable Outside HEATED Mirrors with Supplemental Signals and PREMIUM Fog Lamps. SAFETY FEATURES Include: PARKSENSE REAR PARK ASSIST W/STOP, Security Alarm, HILL DESCENT CONTROL, Universal Garage Door Opener, ENHANCED ACCIDENT RESPONSE SYSTEM, Trailer Sway Damping, REMOTE KEYLESS ENTRY, Sentry Key Theft Deterrent System, HILL START ASSIST, Electronic Stability Control, Anti-Lock 4 Wheel Disc Brakes and FOUR WHEEL TRACTION CONTROL. ONE OWNER. NO ACCIDENTS, Clean Autocheck. A Grand Cherokee LIMITED 4X4 in Granite Crystal Metallic Clear Coat with Black LEATHER Interior. KEY FEATURES Include: REMOTE START, PARKVIEW REAR BACKUP CAMERA AND A POWER LIFTGATE. PERFORMANCE FEATURES Include: 3.6L V6 Engine and an 8 Speed Automatic Transmission Capable of 25 MPG HWY. Engine Oil Cooler, Selec-Terrain System and the Quadra-Trac II 4WD System. FACTORY WARRANTY UNTIL 2023. INTERIOR FEATURES Include: 8 WAY POWER ADJUSTABLE DRIVER & FRONT PASSENGER HEATED SEATS ( Memory Settings for Drivers Seat, Radio & Outside Mirrors ), HEATED STEERING WHEEL, HEATED 2ND ROW SEATS, Power Windows & Locks, Tilt & Cruise, Full Length Floor Console, Air Conditioning, AUTO TEMP CONTROL with DUAL ZONE CONTROL, Overhead Console, Uconnect 4 with a 7" Touchscreen Display, 6 Speakers, Steering Wheel Mounted Audio Controls, Google Android Auto, Apple CarPlay and Integrated Voice Command with Bluetooth. EXTERIOR FEATURES Include: 18" Tech Gray Aluminum Wheels, Rear Window Defroster, Power Adjustable Outside HEATED Mirrors with Supplemental Signals and PREMIUM Fog Lamps. SAFETY FEATURES Include: PARKSENSE REAR PARK ASSIST W/STOP, Security Alarm, HILL DESCENT CONTROL, Universal Garage Door Opener, ENHANCED ACCIDENT RESPONSE SYSTEM, Trailer Sway Damping, REMOTE KEYLESS ENTRY, Sentry Key Theft Deterrent System, HILL START ASSIST, Electronic Stability Control, Anti-Lock 4 Wheel Disc Brakes and FOUR WHEEL TRACTION CONTROL. ONE OWNER. NO ACCIDENTS, Clean Autocheck. A Grand Cherokee LIMITED 4X4 in True Blue Pearl Coat with Black LEATHER Interior. KEY FEATURES Include: REMOTE START, PARKVIEW REAR BACKUP CAMERA AND A POWER LIFTGATE. PERFORMANCE FEATURES Include: 3.6L V6 Engine and an 8 Speed Automatic Transmission Capable of 25 MPG HWY. Engine Oil Cooler, Selec-Terrain System and the Quadra-Trac II 4WD System. FACTORY WARRANTY UNTIL 2023. INTERIOR FEATURES Include: 8 WAY POWER ADJUSTABLE DRIVER & FRONT PASSENGER HEATED SEATS ( Memory Settings for Drivers Seat, Radio & Outside Mirrors ), HEATED STEERING WHEEL, HEATED 2ND ROW SEATS, Power Windows & Locks, Tilt & Cruise, Full Length Floor Console, Air Conditioning, AUTO TEMP CONTROL with DUAL ZONE CONTROL, Overhead Console, Uconnect 4 with a 7" Touchscreen Display, 6 Speakers, Steering Wheel Mounted Audio Controls, Google Android Auto, Apple CarPlay and Integrated Voice Command with Bluetooth. EXTERIOR FEATURES Include: 18" Tech Gray Aluminum Wheels, Rear Window Defroster, Power Adjustable Outside HEATED Mirrors with Supplemental Signals and PREMIUM Fog Lamps. SAFETY FEATURES Include: PARKSENSE REAR PARK ASSIST W/STOP, Security Alarm, HILL DESCENT CONTROL, Universal Garage Door Opener, ENHANCED ACCIDENT RESPONSE SYSTEM, Trailer Sway Damping, REMOTE KEYLESS ENTRY, Sentry Key Theft Deterrent System, HILL START ASSIST, Electronic Stability Control, Anti-Lock 4 Wheel Disc Brakes and FOUR WHEEL TRACTION CONTROL. Driving in certain conditions can be tough, and especially so if your vehicle is not equipped to handle rugged road conditions or moderate off-road terrain. An all-wheel-drive system can provide maximum traction in situations where two wheels can’t. It can help keep you moving through mud, sand, snow, ice, and other surfaces that could cause FWD vehicles to get stuck. So what are you waiting for? Come see us at 516 N Madison St Chilton, WI 53014 to check out our AWD SUVs!